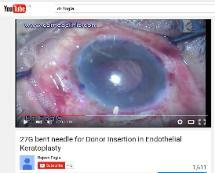 no risk of suture related complications such as infections, vascularisation etc. 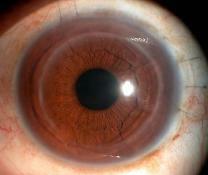 corneal tissue from donor cornea. 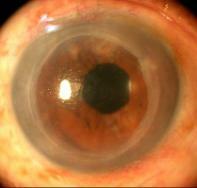 This corneal tissue needs to be secured in position with multiple sutures. and loses its clarity. 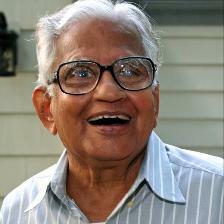 He also had cataracts in both eyes. vision improved, but he found it difficult to wear them for long hours. his graft had failed, and would need another surgery to restore its clarity. 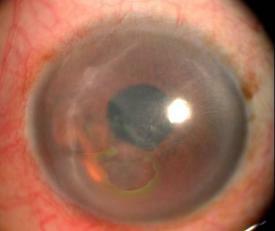 Note the hazy cornea due to failed graft in the left eye. He was extremely pleased with the outcome of surgery, as his unaided vision was quite good. 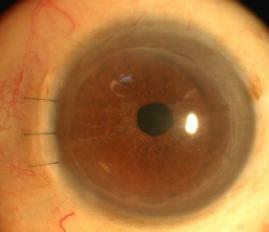 Note - absence of stitches on the corneal surface, clear cornea. in the US, the prohibitive cost apart ! also at international and national symposiums.